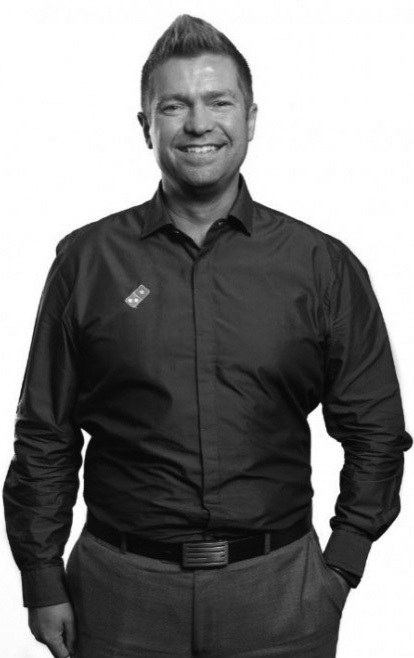 David Klages joined Domino’s Pizza Enterprises Ltd (Domino’s) as the Group HR Manager in April 2014 and his responsibility spans the Company’s seven markets - Australia, New Zealand, France, Belgium, The Netherlands, Japan and Germany. A member of the Group’s Leadership Team, his key focuses at Domino’s includes executive compensation, reward structure, talent and succession planning, and diversity and inclusion. Throughout his time at Domino’s, David has been able to oversee the implementation and development of diversity initiatives, global remuneration reviews, reward strategies, as well as significant recruitment sourcing reviews and culture development. With over 20 years HR and leadership experience in a variety of large and diverse companies including QSuper Limited, Pricewaterhouse Coopers (PwC) Australia and Japan and TAFE NSW, David holds a Bachelor of Science majoring in Aviation from the University of Newcastle as well as his Commercial Pilot’s Licence. Prior to Domino’s, David was Head of HR Strategy and Policy at leading superannuation company, QSuper Limited and prior to this worked as the Director of Human Capital at multinational professional services company PwC for six years. Throughout his extensive career, David has managed a number of complex HR issues for companies with large and diverse workforces across geographic boundaries and proved that he is a results-driven professional with a strong commercial focus. David thrives in his role working for a dynamic publicly-listed company with a workforce of over 30,000 employees as he works with the leadership team formulating important strategic and operational decisions. Passionate about his work and fellow colleagues, David has played an integral role in ensuring Domino’s keeps its high staff retention rate and attracts only the strongest of candidates.